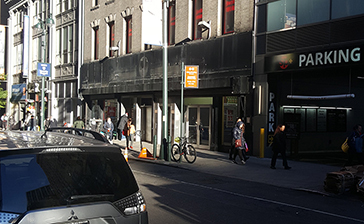 Parking.com has convenient discount parking near the Fashion Institute of Technology (FIT). Click on a location name listed in the map below for parking rates, garage information, or to print a discount coupon. Please note: Customer must present coupon at time of exit to redeem discount. FIT is an internationally recognized college for design, fashion, art, communications, and business. The school features a free museum to the public, just blocks away from NYC's Garment District, that showcases fashion and costume art from students and prominent designers.